Born in Yorkshire in 1915 David Rolt was one of the most sought-after English portrait and landscape painters of the 1940s and '50s. 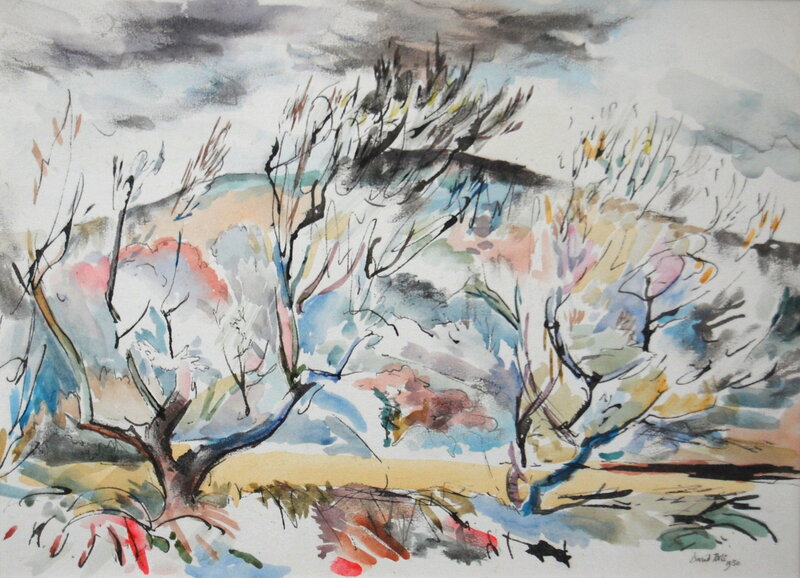 From the early 1940s his landscapes and portraits – characterized by their bold line and use of colour - were being shown at the Royal Academy and New English Art Club. 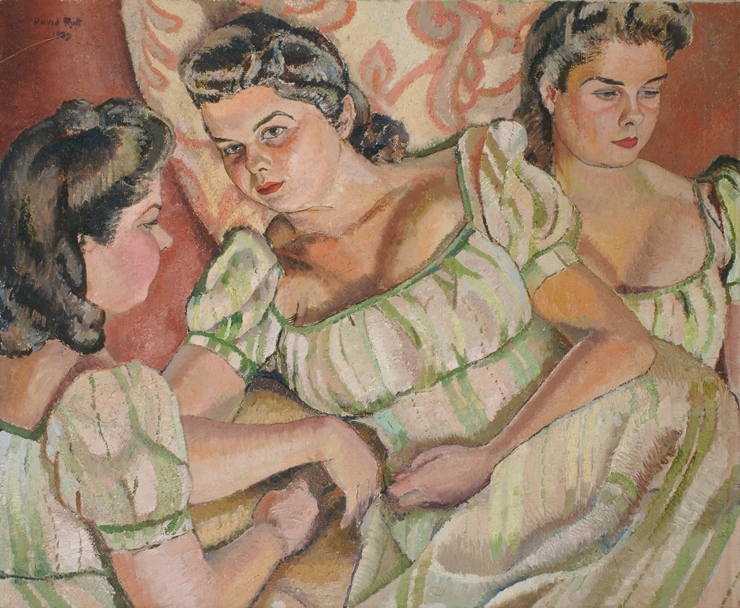 His work caught the eye of the leading London gallerist Sir Jack Baer, who staged five exhibitions Rolt’s work at the Hazlitt Gallery between 1949 and 1957, which were followed by international exhibitions in New York, Capetown and Istanbul. "David Rolt was never a flashy painter. He painted with craftsmanship and elegant intelligence" - Sir Jack Baer. 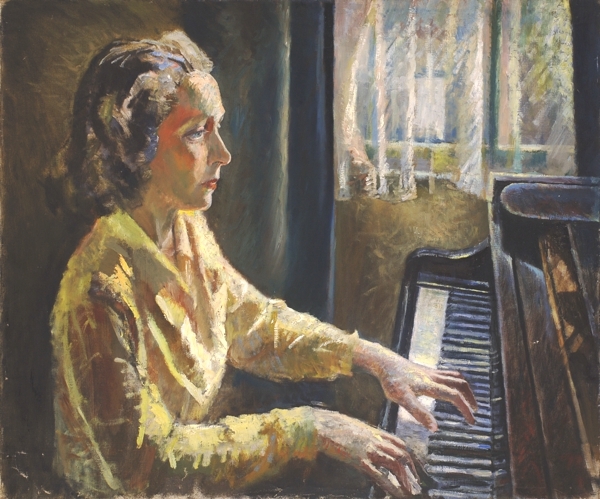 Rolt’s portrait subjects included some of the most celebrated figures in British society of the war and post-war years, including Sir Arthur "Bomber" Harris, the magnate Nubar Gulbenkian, the politician and writer Harold Nicolson, Viola Duchess of Westminster, and actress Valerie Hobson. 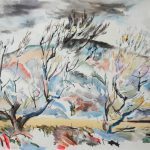 Rolt’s landscape paintings, which typically feature windswept trees or rocky shores reflect the wildly fluctuating emotional climate of the artist's life, sometimes sun-drenched, sometimes wintry-bleak. Rolt had been partially crippled at birth, when a forceps delivery damaged his skull and left him with lifelong disability in his right arm and one of his legs. Despite these handicaps, his artistic talent thrived and secured him a place at the Slade School of Fine Art. In his early twenties Rolt had formed a relationship with Mel Russell-Cooke, daughter of the captain of the Titanic. 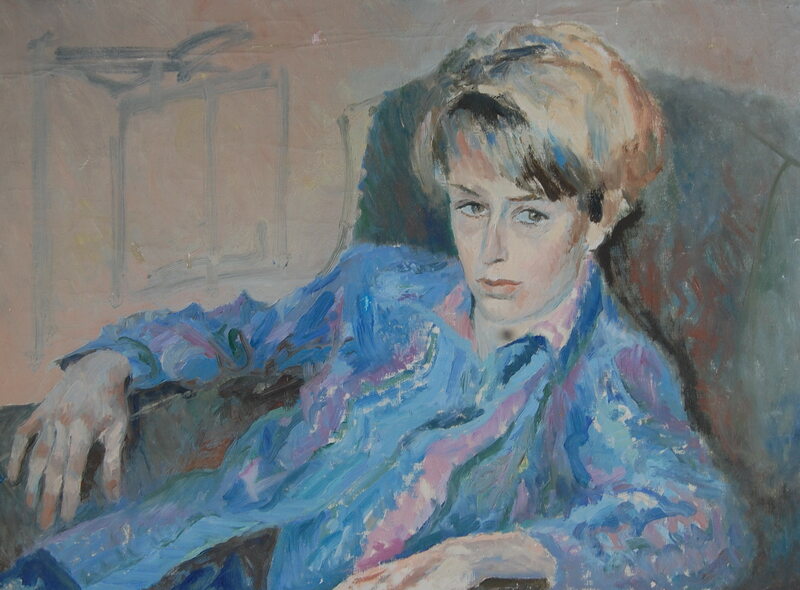 A vivacious woman who drove fast cars and held a pilot's licence, she was 18 years older older than Rolt and already married, but their relationship continued until the artist was in his 40s. Then, in 1959, his friend Valerie Hobson introduced him to a young debutante, Penelope "Minnie" Bradford, who was more than 20 years younger than Rolt. The artist was smitten; weeks later they were married. The marriage produced two children but only lasted ten years. After their divorce Minnie re-married twice; Rolt never married again, but his friendship with Mel continued until her death in 1973. Mel and Minnie feature in several of Rolt's portraits. David Rolt died in 1985: after suffering severe pain for several years caused by the disabilities he had suffered from birth, he underwent surgery but did not survive the operation. He is buried in Budleigh Salterton in Devon. A memorial exhibition of his work was held at the Audun gallery in London in 1986. For many years after he had died almost all his commissioned work remained in private hands and very rarely appeared on the open market. 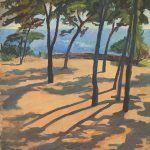 But recent sales of his portraits and landscapes suggest that Rolt's work is now beginning to attract the attention it deserves. 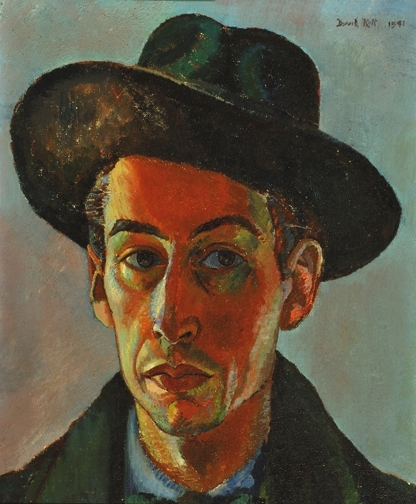 The tide turned in September 2012 when his Self Portrait with Black Hat (see above) fetched £13,750 at Christie's in London. 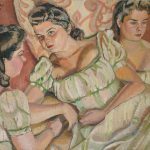 The portrait, which came from the personal collection that Rolt left to his family, was the first of his oil paintings to be offered for sale in many years. 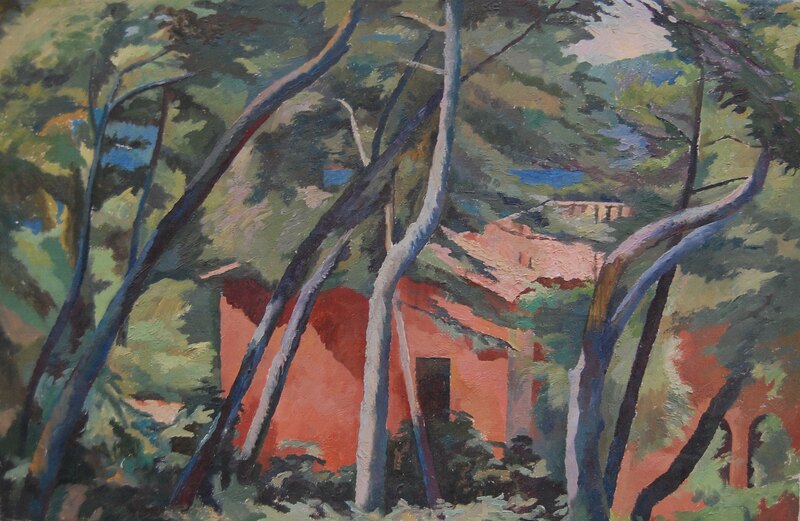 The pictures shown here are from the artist's estate and come with a signed certificate of provenance.